Well, travelling with a ferry from Santorini to Mykonos is one of the most popular Greek island hopping routes. The main reason why Santorini is the ideal starting point for island hopping to other Greek islands of the Aegean Sea is its close distance from them. It is as easy at it can get to travel from one island to another and have the best of both worlds! All ferries arrive and depart from Athinios, the main port of Santorini. Athinios is located 9 km from the capital of the island, Fira. It is connected by bus and taxi with Fira and the most touristic places on Santorini, such as Perissa, Kamari and Oia. But, what are the the best island hopping routes from Santorini? You’ll soon find out that island hopping from Santorini to Mykonos isn’t the only option! Stick with us and you’ll learn everything about it. Step one: Board on a ferry from the charming island of Santorini. 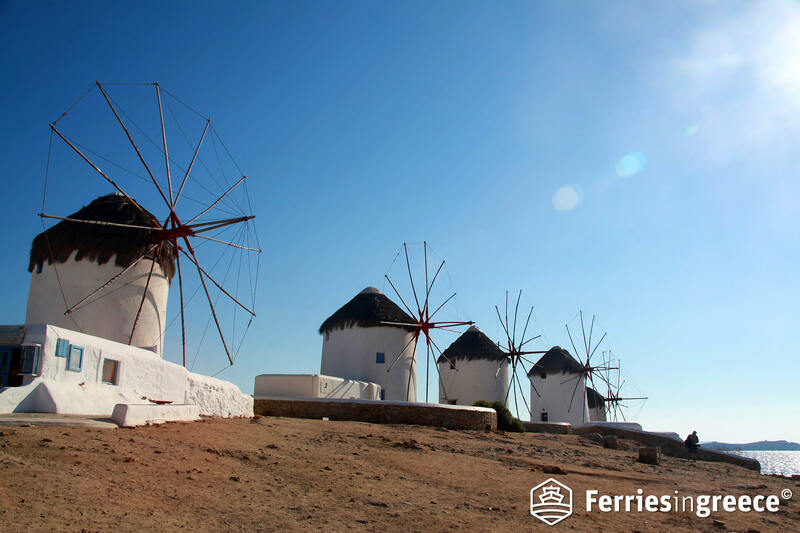 Step two: Hop to the most cosmopolitan island of the Cyclades, Mykonos, within just 3 hours with a high speed ferry. You see, getting from Santorini to Mykonos is pretty easy! What’s more, Mykonos island hopping is a must! Mykonos is located at the northern side of Cyclades, in the heart of the Aegean Sea. It is famous worldwide for its wild, never-ending party scene, exciting nightlife and wonderful scenery. No wonder it is known as the “Ibiza of Greece”! But what about Mykonos beaches? Most beaches around the island are blessed with golden sand and clear waters, offering organized facilities and beach bars. The best of them are located on the southern side of the island. Such beaches are Platis Gialos beach, Paradise beach, Super Paradise beach and Lia. The soft sand and the crystal clear water of these stunning beaches will amaze you for sure! When in Mykonos, don’t miss to visit Chora! This is the main village of the island, with the traditional Cycladic whitewashed houses, the traditional windmills and quaint narrow streets. What’s more, in Chora, there are plenty of accommodation and entertainment options, amazing bars and nightclubs. Another must is Little Venice, one of the most romantic places in Mykonos. Just imagine little white and colorful houses, built on the edge of the sea. Amazing, right? And the best part is, at Little Venice you’ll watch some of the most beautiful sunsets of your entire life! Tip: Walk through Little Venice, to enjoy a marvelous sunset and a lounge drink. 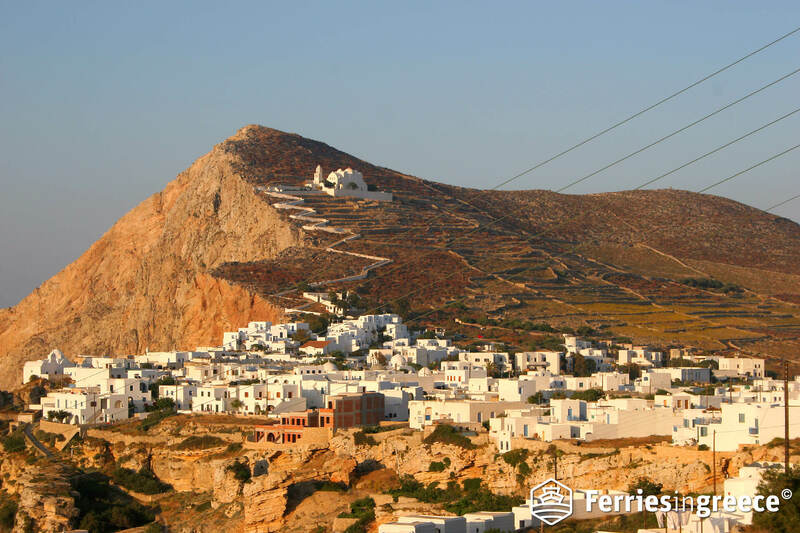 Truth is, the island of Milos has a breathtaking volcanic background. Just imagine extraordinary rock formations, spectacular natural caves and secluded coves. Amazing, isn’t it? But, that’s not all! Milos is one of the most popular islands of the Aegean Sea. The highlights of Milos are so many! Milos is renowned for the crystal sea, relaxing ambiance and the little fishing villages. For example, Klima, with the traditional architecture and boat garages is one of the most beautiful little villages. Plaka and Pollonia are, also, beautiful examples of the simplistic Cycladic architecture. Stroll around these little villages and eat fresh fish and seafood at the traditional fish taverns. As for the beaches, the most popular beach of Milos is, hands down, Sarakiniko. 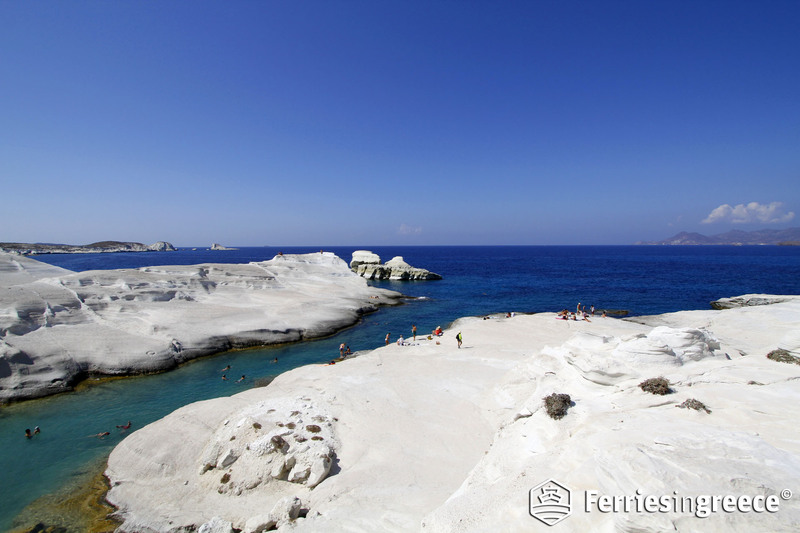 Its impressive lunar landscape makes it a must beach to visit, when in Milos. Island hopping from Santorini to Milos is very popular. This is because both islands are very romantic and quiet. 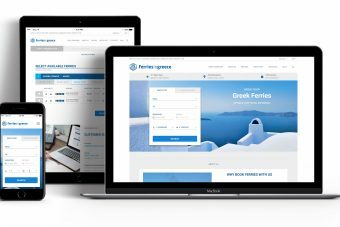 In summer, frequent ferries connect Santorini with the scenic port of Adamas in Milos, making island hopping quite simple. The best part about island hopping from Santorini to Folegandros? Exploring the wild natural beauty of Folegandros and its peaceful villages is a unique experience. Despite the island’s proximity to the very popular islands of Paros and Santorini, Folegandros remains untouched from mass tourism. Its villages still manage to retain their traditional character, with their traditional whitewashed white and blue houses. What’s more, at the traditional local taverns of the island, you can taste the most yummy homemade dishes! Truth is, Folegandros is the ideal destination for relaxation, hiking through wild hills and swimming in wonderful beaches. Such beaches are Agali and Ambeli. 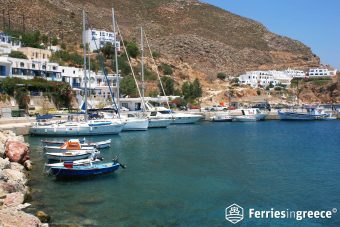 Ferry routes to Folegandros from Santorini are daily during high season and the trip lasts for about 2-3 hours. Tip: Visit the picturesque village of Chora to admire the magnificent view and impressive churches. Also, swim in the gorgeous beaches of Agali and Katergo. Crete is the largest island of Greece, located at the southern part of the Aegean Sea. What’s more, it’s one of the most popular destinations in Greece! So, what’s so special about Crete? The unique character of the island, the long history and diverse landscapes attract visitors of all ages and types. In Crete, you’ll see some amazing things. Historical remnants of important historical periods, exotic beaches, deep gorges, verdant mountains and popular lively resorts. But, there’s a way to have them all in one. Heraklion is the largest port in Crete and a popular summer destination. It is famous for its busy nightlife and amazing ancient sites. Such sites are the Minoan Palaces of Knossos and Phaestos, Medieval castles and Byzantine monasteries. Popular tourist resorts in Heraklion include Agia Pelagia, Matala, Malia and Hersonissos. 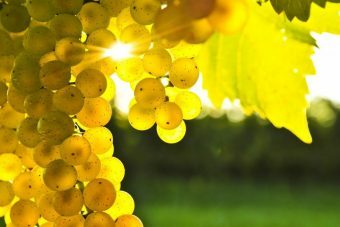 And what about getting to Crete from Santorini? 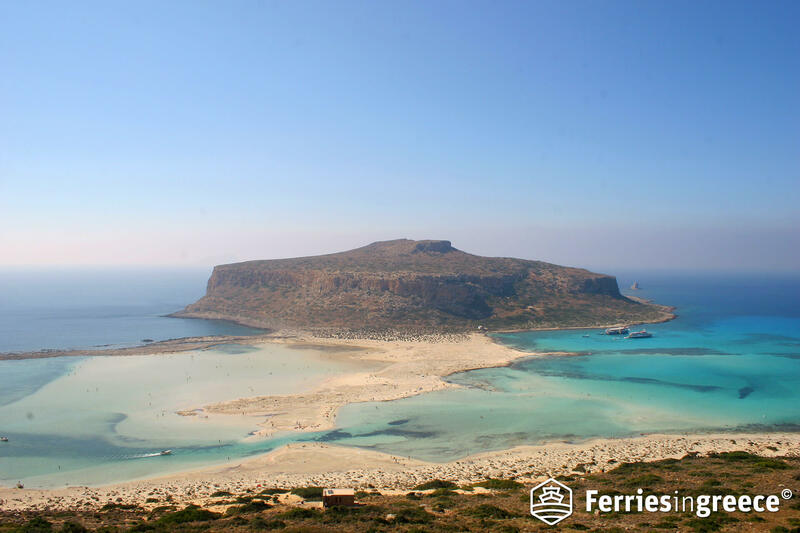 Don’t worry, because during summer, there are daily ferry connections between Santorini and the port of Heraklion in Crete. To wrap it up, we’re sure that by now you have already realized this. Apart from island hopping from Santorini to Mykonos, there is an island hopping route from Santorini, for every taste. So, now the ball is on your court! What route are you going to choose for your best holidays ever?